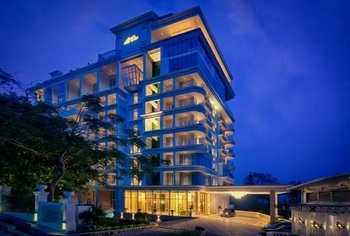 OBC Guest House dan villa adalah tempat tinggal modern art deco yang terletak di kota Bandung. Guest House menawarkan keramahan dan kebersihan untuk membuat yakin para kesenangan yang terbaik. Para tamu juga akan dihibur dengan fasilitas disediakan Lapangan futsal, Tenis Meja, kafe, Layanan Binatu dan Antar-Jemput (Surharge). Ada juga restoran yang menyajikan masakan Indonesia. Berlokasi di kawasan Ciumbuleuit yang sejuk, OBC Guest House menawarkan penginapan terjangkau yang menawan. Arsitektur vintage yang cantik serta penggunaan kayu jati pada interiornya akan membuat Anda semakin betah di akomodasi ini. 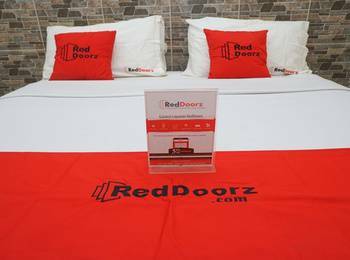 Terdiri dari beberapa tipe kamar, masing-masing kamar OBC Guest House ditunjang dengan tempat tidur yang nyaman, TV LED, meja rias dan lemari pakaian serta kamar mandi lengkap dengan air panas. Saluran TV kabel tersedia selama 24 jam untuk menambah kenyamanan menginap Anda. Beberapa unit kamar menampilkan sofa dan dapur. 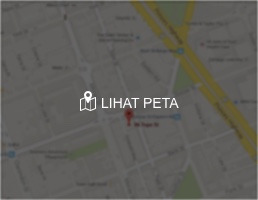 Nikmati santapan lezat di kafe yang tersedia di lokasi. 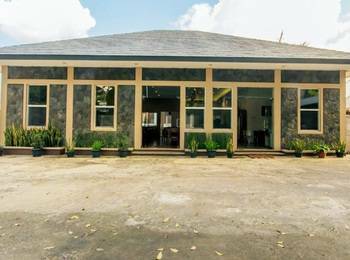 Pilihan aktivitas seperti futsal, tenis meja dan badminton juga bisa Anda nikmati di OBC Guest House. Wi-Fi tersedia gratis, sementara layanan binatu dapat diselesaikan dalam satu hari. 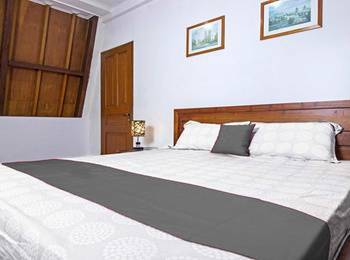 OBC Guest House berjarak sekitar 5 km dari Bandara Husein Sastranegara. Anda juga dapat mengunjungi Paris Van Java dan Cihampelas Walk yang terletak 3 km dari akomodasi. "Nyaman 2 malam di obc, kebetulan dekat dengan tempat kuliah anak, harga makanan juga terjangkau"
harga sesuai dengan keadaan: kamar nyaman, bersih. makanan mudah didapat karena berada dilingkungan kampus. untuk keperluan ke kampus, lokasi dekat karena bisa masuk di pintu belakang kampus tapi akan terasa cape kalau menuju jalan raya bagi yang tidak terbiasa jalan kaki karena konstruksi jalan yang menanjak walaupun dekat. Nyaman...hanya spreinya yg sepertinya perlu diganti baru krn warnanya sudah agak kusam. Pelayanan oke.. di tambah dekat dengan unpar.. harga juga terjangkau.. mantap..
Dekat dengan unpar.. sangat cocok untuk org tua yg mengunjungi anaknya yg kuliah di unpar..
Kamarnya sejuk, tidak perlu pakai AC juga sudah dingin, cuaca yg sangat cocok untuk saya, jadi tempat ini nyaman buat tidur saja, lokasi jauh dari jalan utama. Skeptic turned into "wanna return"
I was first very skeptic about this place from what I read in Agoda, TripAdvisor, and Booking.com reviews. But I have no choice to stay at this place because it was cheap, and it's really close to UNPAR (Universitas Parahyangan) where my friends stayed. When I first arrived at the guesthouse, my first impression was clean. It's really clean and quiet. Although the front desk is kind of small, the receptionist is super nice and kind of shy. After I checked-in my standard, no AC room, he showed us to my room which is so close to the front-desk. I was wowed with the cleanliness of the room. And I decided, if I come to Bandung again, I would like to stay at this place again. The bed sheet smell was super nice and the bed was super comfy. And the air inside was cool too albeit no AC. There's a wardrobe made from wood but I think it's old, it sounded creaky when I open it and didn't smell that nice inside it. There's a flat TV with international cable like E!, HBO, FOX, CNN, you name it. It's very low quality but still watchable. And inside the bathroom, although it's kind of dark and some spot has uneven paint, it's still nice to take a shower inside. When I first tested the water, it was cold, even when I set it to the hottest one. So I assumed that it doesn't has hot water. But when we came back from our trip, I was shocked to see there's hot water although it's just a guesthouse. Oh I forgot to say the wifi is pretty fast too! The thing I don't really like is the lack of power socket on the walls and the sound coming from outside. I have to plug my earphone to block out the noise at night. Beside them, there's no room cleaning too, so our stuffs stays where we left them inside. In conclusion, the cleanliness and comfort makes me want to stay here again. It feels homey. I understand the limit of some facilities like no hot water maker, room service and other stuffs because it's a budget place. So.. thanks OBC for our stay! When checking into the 'Penthouse' in conjures up a perceived belief that you will be staying in a luxurious room with amazing views and amenities right? Well think again! 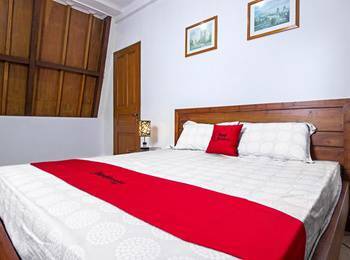 The Good - Room is large with plenty of light, furnished with dusty Javanese furniture, that’s cool. Wifi signal is not strong enough to use in the room. The Bad Is there is no climate control not even a ceiling fan, so the room is hot during the day and cold at night. There is no sheets for the bed there was a dusty, itchy throw that wasn't big enough to cover two people, I used my clothes as blankets. room comes with a empty fridge, which wasn't turned on, took 12hrs to chill a bottle of water. there is no kettle with the usual tea or coffee supplies, in fact there is not even a glass in the room. Not sure I would have wanted to use a kettle anyway considering all the cockroaches in the room, three on arrival and two in the bathroom the next morning. Breakfast was greasy fried rice and stale crackers. Now the ugly - The bathroom, I read that the guest house was last renovated in 2012 I guess they skipped the bathrooms as the fittings are older than my great grandmother. shower curtain mouldy, broken shower head (no longer fits to the wall) no soap 2 small unlabeled containers that have the consitency, texture and smell of diswashing liquid and no hot water during the day. Sleep quality - good luck, first there is the noise from the recreation centre that is open to late, then the usual call to prayer, but the most annoying is the rats gnawing on the wood in the room during the night, thats bad enough but we caught them rading our luggage they even got into my handbag ate through a zip lock bag to get to sugar packets. We where planning to stay another day here but we quickly checked out and found a different hotel. My wife, Daughter and I stayed in the Penthouse for 2 nights in Feb 2014. Initially we thought it OK even allowing for the lack of air conditioning. It is in a quieter part of town with a few local eateries nearby, the staff were friendly enough and helpful. Night one was non-eventful apart from prayers blaring from the nearby mosque at 4am which made for a tiring next day. Night two however turned into a horror story. Upon returning to our room at 10pm after dinner, I heard a rustling noise coming from the bedroom. When I went to check what the noise was, a large rat ran from the floor up the bedroom wall and into the ceiling. It had been eating packets of sealed biscuits and potato crisps. To say I was shocked is an under statement. However being late I decided to keep it to myself and not scare my wife with what i had just seen as we were leaving the next day. And it was too late to find somewhere else. Unfortunately it (or they) decided to return during the night, searching our bags for food. Luckily my wife slept thru it all but understandably i couldn't sleep a wink. I got up several times during the night to scare them off but they returned at least 2-3 times as I lay listening for the rustling. It was a nightmare and I have never been so happy to see sun up. I rang the manager the next morning before we checked out to notify him of my horror. I said he should consider providing a refund for the last night given I didn't sleep a wink and the stress it caused. He said he would discuss with accounts and then ring me back. He texted later that morning indicating he didn't think there was anything he could do but asked me to call back to discuss further. I tried to contact him several times later that day and left a voicemail asking him to return my call but that never eventuated. So obviously he wasn't interrested in any form of compensation. I'm not overly fussy and have stayed in several low budget hotels but have never experienced anything like this before. Avoid at all cost. First, the hotel location is not strategic unless your plan to explore Bandung is somewhere around Cihampelas or Rumah Mode Outlet, otherwise you may forget it. The room is quite clean. Funny that the Penthouse has no air conditioner while the standard room has. Access to hotel is not easy. Narrow street and limited parking space. Breakfast is standard for guest house level: fried rice with egg and cracker, delivered to your room. King size bed, enough for two adult and one child. Bathroom amenities is towel only. You have to bring your own soap, shampoo and toothpaste. Room amenities are two bottles of mineral water. No coffee, tea or just tea spoon. Penthouse has mini bar, yet it is empty. Bathroom has hot and cold water. 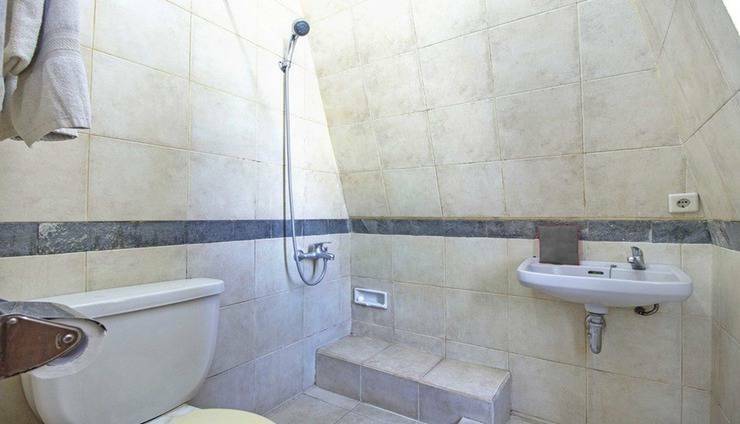 Some room has bath tub, while the rest are shower. There's no grocery shop near the hotel and hotel mini cafe does not take order after 06:00 PM, so for dinner you need to go to Jalan Raya Ciumbuleuit, about 15 minutes on foot and reach Parahyangan University campus, there you'll find many option of hawker food. Will I return? I don't think so.